After a hospital stay, your road to recovery might include short-term therapy services. York General Hearthstone treats a wide range of patients transitioning from hospital to home. 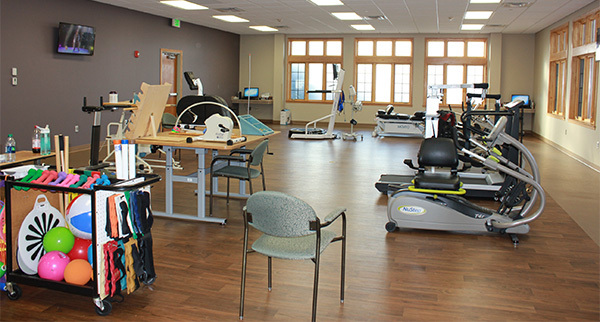 Our services include Physical, Occupational and Speech Therapy, and our board-certified therapists work together with York Medical clinic and York Specialty Clinic providers to strive for excellent outcomes for our patients. Innovative areas within the Therapy Department to improve your transition to home, including stairs, simulation doorways, and mock-up bathroom facilities. Our goal is to get patients back to their daily routines at home as quickly as possible after surgery, illness or injury. For information, call our Admissions Coordinator at 402-363-0240.